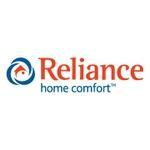 Reliance Home Comfort offers Alberta customers comfort products, such as furnaces, conditioners, and water heaters. Located in Calgary, Reliance Home Comfort is the largest rental water heater providers in Canada. They also offer top brand furnace and air conditioner bundles, air handlers, service and maintenance plans, financing solutions, and rental options. Products Carried: Reliance Home Comfort is a leading supplier of water heaters, air conditioners, and furnaces in Calgary. They also offer protection and preventative maintenance plans, furnace emergency service, and air conditioner emergency service. Certified technicians can service almost any brand of furnace or air conditioner Reliance Home Comfort offers a free, no obligation in home consultation and quote.